Today, we take to the skies with Disney’s PLANES Fire & Rescue. When we started this series, I mentioned to you that my son has been fascinated by everything F & R for over a year now. This fascination was further amplified when he watched Disney’s Fire & Rescue Planes movie. So he asked if he could have planes and helicopters for his birthday. So what is a mother to do? It it tough when your child wants party with a theme from a recently released movie. You know why? Because chances are gifts & goodies in that theme are not yet available in party stores. (I had the same experience with his Olaf-themed party last year.) However, it is a great opportunity for a crafty Mom to put her creative foot forward. I just wanted to share with you the few things I did for his party. We start with the party shirt. I looked everywhere but couldn’t find Fire & Rescue fabric, so I settled with two options for my boy. 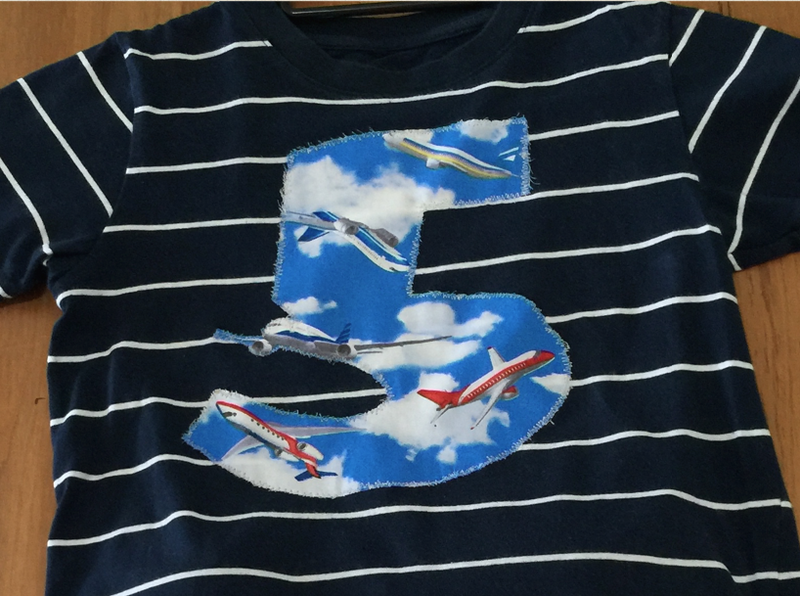 The Idea: create a birthday party shirt for a 5 year old who loves PLANES Fire & Rescue. I will show you two party shirts that I came up with despite the lack of any Fire & Rescue Disney licensed fabric.. 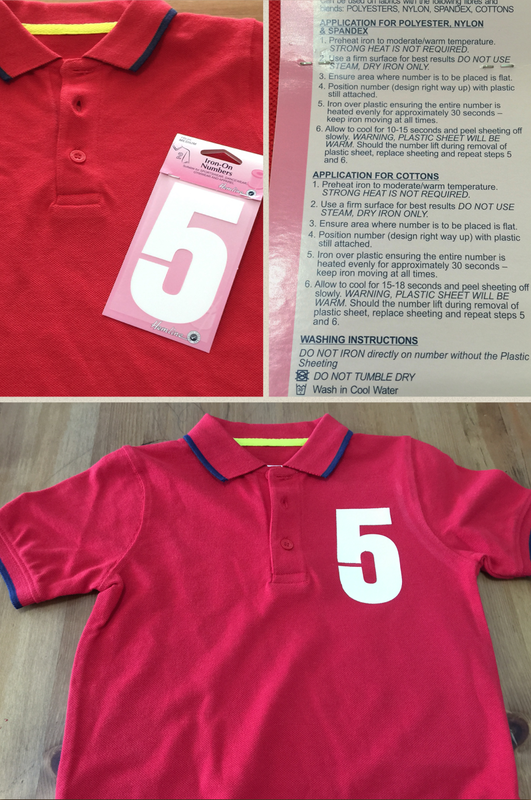 I bought this red shirt from Mothercare and the iron on number 5 from Spotlight – both from Plaza Singapura. Went home ironed the number onto the shirt and voila! a red hot shirt for my birthday boy. 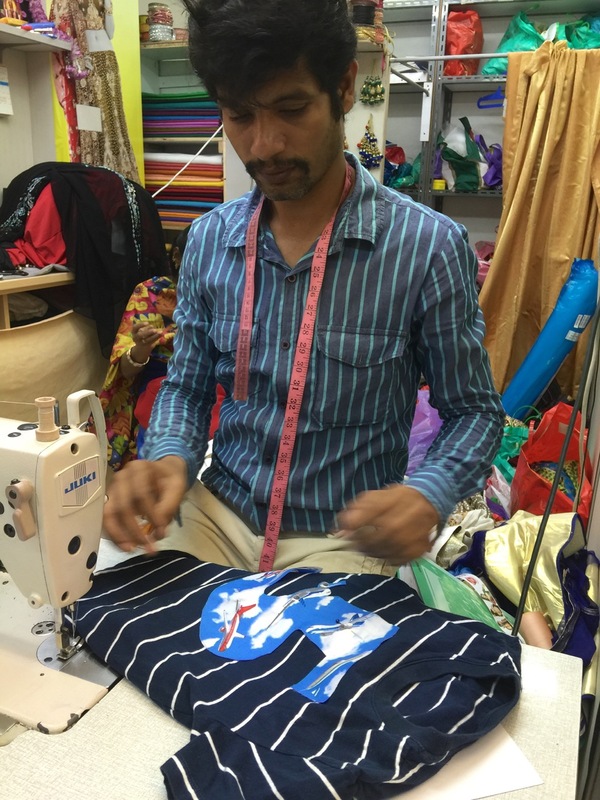 I was going to sew the number by hand but decided otherwise – I went to Tekka Market to see my tailor friend JOE. 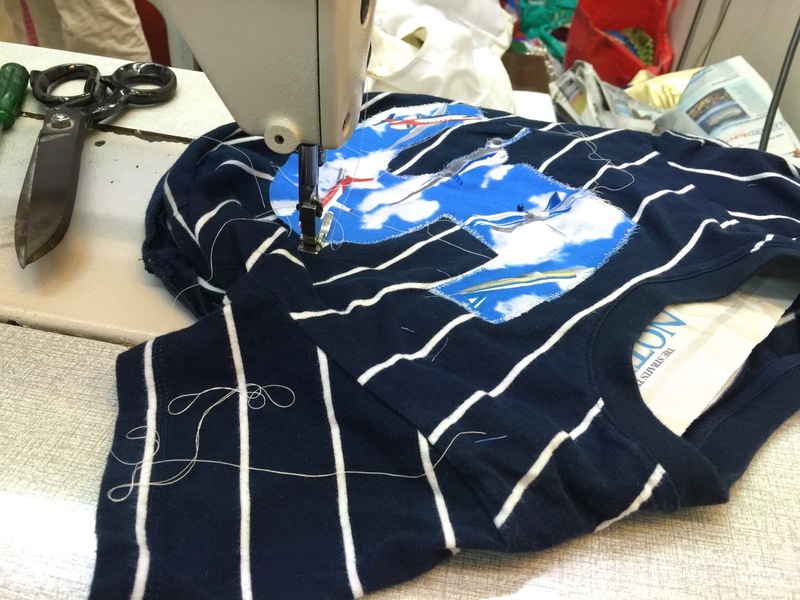 When I told Joe it was for my son’s birthday he couldn’t say NO even if he was so busy with alteration jobs. 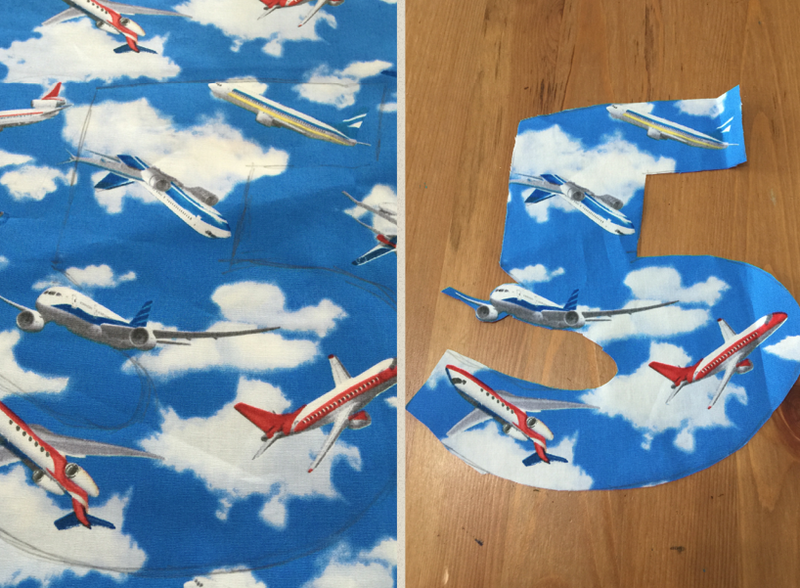 And here is the finished PLANES party shirt for my 5 year old. 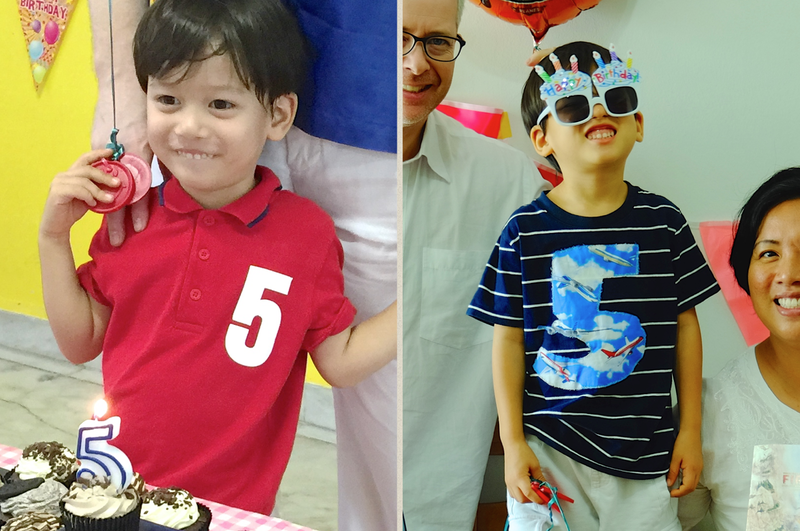 Lucky boy – he ended up with one Mama-made shirt for his early birthday school party, and another one for his official party with family. This entry was posted on March 7, 2015 by Paulina Constancia in Create, Imagine, Teach and tagged Arts & Crafts, family bonding, kid friendly, theme party.